England paceman Chris Woakes said Friday that Virat Kohli’s decision to play for Surrey will raise the standard of English county cricket, as the Indian skipper faces criticism for missing a landmark Test. 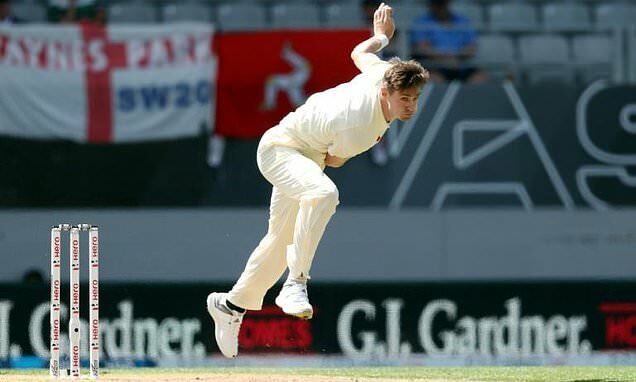 Kohli will boost English county cricket: Woakes ByAfp Published: 12:16 EDT, 11 May 2018 | Updated: 12:16 EDT, 11 May 2018England paceman Chris Woakes and India’s star batsman Virat Kohli both play for IPL side Royal Challengers BangaloreEngland paceman Chris Woakes said Friday that Virat Kohli’s decision to play for Surrey will raise the standard of English county cricket, as the Indian skipper faces criticism for missing a landmark Test. Kohli will skip Afghanistan’s first-ever Test, in Bangalore against India, to play county cricket in preparation for a high-profile England tour starting July — a decision India’s cricket board has defended. Woakes, his teammate at the Royal Challengers Bangalore, also welcomed the star batsman’s decision to play in the English championship. “Getting guys to play against world-class players like Virat is only good for the county game,” said Woakes, who plays for Warwickshire in England. “I think the fact that we have 12 English players (in the IPL) is a great thing for English cricket,” he said.